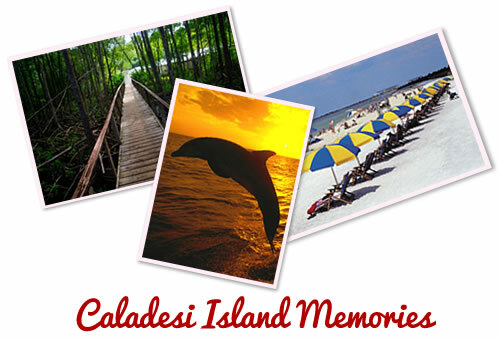 As one of the few completely natural islands along Florida´s Gulf Coast, Caladesi´s white sand beaches were rated #7 in 2017 and 2018. Beach lovers can enjoy swimming, sunbathing and beachcombing. Saltwater anglers can cast a line from their boats or surf fish. Nature enthusiasts can spot wildlife while hiking the three mile nature trail through the island´s interior or paddling a three mile kayak trail through the mangroves and bay. Picnic tables and shelters are located near the beach, and picnic pavilions can be reserved for a fee. The park has a marina with electric and water hookups, as well as a snack bar and gift shop. The park is accessible by boat or ferry. 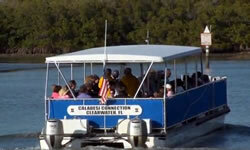 Ferry service is provided by the Caladesi Island Ferry 727-734-5263 and departs from Honeymoon Island State Park. 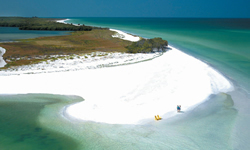 Florida’s state parks are committed to providing equal access to all facilities and programs. Beach wheelchairs are available upon request. Should you need assistance to enable your participation, please contact the Ranger Station at 727-469-5918. An additional boat, the Paradise Express, departs from Dunedin Marina. Pricing and schedule may be obtained by calling 727-388-7333.